Indian Institute of Science Education and Research (IISER Tirupati) Recruitment 2017, In the Indian Institute of Science Education and Research (IISER Tirupati) Recruitment 2017, Current Govt. Jobs for Project Assistant at the Indian Institute of Science Education and Research (IISER Tirupati) Recruitment 2017. Indian Institute of Science Education and Research (IISER Tirupati) Recruitment 2017 Project Assistant Posts February 2017, Indian Institute of Science Education and Research (IISER Tirupati) Recruitment 2017 have been decided to recruit Project Assistant Posts Advertisement Date 28th February 2017. Important Dates which candidate should remember when applying Indian Institute of Science Education and Research (IISER Tirupati) Recruitment 2017 as follows. Probably you are waiting for this Indian Institute of Science Education and Research (IISER Tirupati) Recruitment 2017 Notification you can apply online Indian Institute of Science Education and Research (IISER Tirupati) Recruitment 2017 posts Project Assistant. For the post of Project Assistant – Indian. Now the question is who can apply the Indian Institute of Science Education and Research (IISER Tirupati) Recruitment 2017 Job, -Well those are planning to apply for this / these Project Assistant Posts should have the following minimum eligibility criteria. Also Check the Advertisement Details. Desirable: Candidates having qualified and having valid CSIR/UGC NET-JRF or GATE score card. Project Assistant / Fellow (Chemistry) Essential: M.Sc. in Chemistry or Equivalent degree with minimum 60% marks or Equivalent grade. For project no.3, candidates with M.Sc. in Biology, Biotechnology or M.Pharm. may also apply. Project Assistant / Fellow (Physics) Essential: M.Sc. in Physics or Equivalent degree with minimum 60% marks or Equivalent grade. Desirable: Candidates having qualified and having valid CSIR/UGC NET-JRF, JEST or GATE score card. Project Assistant / Fellow (Mathematics) Essential: M.Sc. in Mathematics or Equivalent degree with minimum 60% marks or Equivalent grade. 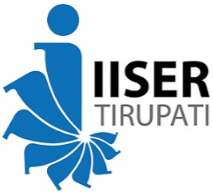 How to Apply Online IISER Tirupati Recruitment 2017 ? (A) Applicants can apply by clicking the link “click here to apply” in the home page below this advertisement link. (B) The applicants must apply according to their respective academics by selecting any one of the options/links available among Biology, Physics, Chemistry and Mathematics available after completion of the above step. (C) After selection of the option in the above step, applicants are requested to fill the profile form and select the project they are interested to work in subject to a maximum of 03 selections. (D) Once the application is submitted, the applicant must take the printout of the form for their reference. 1. Appointment is purely temporary and initially for one year. The will terminate automatically without any notice or compensation on termination of the research project. 2. The appointed person shall have no claim of appointment / absorption in IISER Tirupati. 3. The qualification prescribed should have been obtained from recognized Universities / Institutions. 4. The prescribed educational qualifications are the bare minimum and mere possession of same does not entitled candidates to be called for interview. Where number of applications received in response to this advertisement is large, it will not be convenient or possible to interview all the candidates. Based on the recommendations of the Screening Committee, the Project Leader may restrict the number of candidates to be called for the interview to a reasonable limit after taking into consideration qualifications and experience over and above the minimum prescribed in the advertisement. Therefore, it will be in the interest of the candidates, to mention all the qualifications and experience in the relevant field at the time of applying. 5. Age limit may be relaxed in case of candidates with relevant experience for the position. 6. No TA/DA will be admissible for appearing for the interview. 7. Selected candidates will have to join duty immediately on receipt of the offer. 8. Reservation as per Govt. of India norms will be followed. 9. No interim enquiries / correspondence / communication of any sort will be entertained on the matter. 10. Canvassing in any form and / or bringing any influence, political, or otherwise, will be treated as a disqualification for the post applied for. 11. The date & time of interview shall be informed only to the shortlisted candidates via email only.